When I first discovered the law of attraction in 2009 I was blown away. 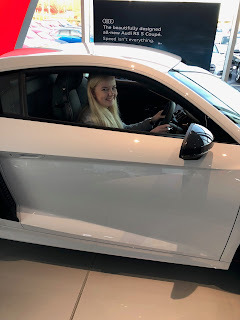 Testing my beliefs to the max, I decided to go and have a look in the local VW garage at a car which cost more than I could have ever imagined spending back then. It all felt like a game. A bit of a dream. 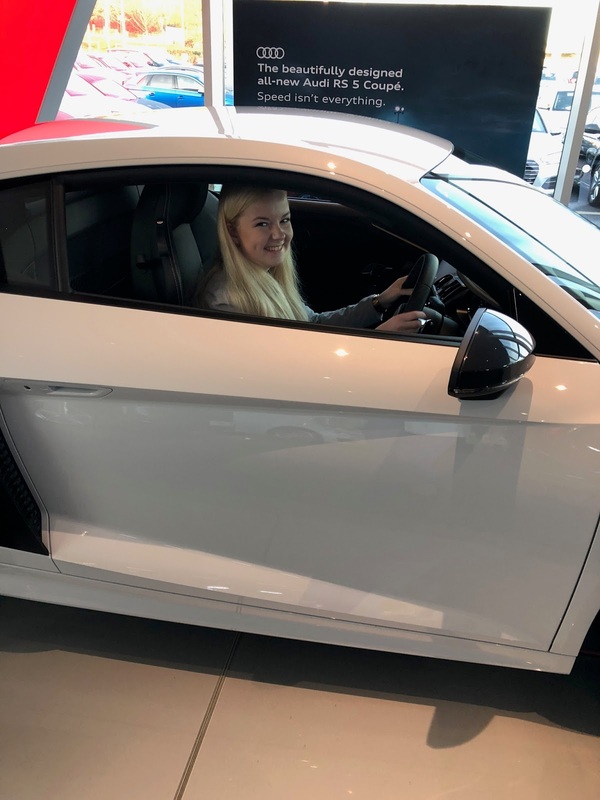 Actually, I came away with a VW golf - not the car i was looking at - much as I loved it, I felt the repayments and the petrol were too much for me and 2 years in I went and downgraded to something slightly smaller. My belief system and 'poor mans thinking' had me a little stuck. Recently, as you may know, I have been taking care of a poorly mum. We generally use the wheelchair if we are going any sort of distance. So the Polo is just a tad too small when we are trying to get luggage and wheelchair in the boot. So guess what? Yep, I went back to that original car from 2009 and bought that model. Not the exact car of course but a newer one. I love it. Small things and large things happen. In my next blog I will tell you about the recent trip to Whitstable and how the coffee shop owner manifested two white terrier dogs visiting the place! This is mind blowing for me to even type this. 18 years ago I'm not exaggerating when I remember the fact of being hungry, having to move home for support from my parents to the actual fact of giving me dinner every night. You see, I was pregnant with twins. I was also single. Which wasn't part of the plan after 9 years of IVF. That's another story for another time. The book is coming. It needs to be right though. Although I feel I should write the final chapter right now to highlight how I feel 18 years after giving birth. Transforming life and feelings, I am now even giving help and advice and motivation to others. So let me tell you this, I know how it feels. I know the feelings you have when you want more from life and the chips are down. Even reading the law of attraction stuff, watching the videos and putting the 'stuff' into practice, you might think it's flawed. Or maybe it takes time. Why? Time is often needed to get over the belief that things like that don't happen to people like you. I was like you. If you have struggles (Don't get me wrong, I still have struggled but they are different now), you might feel you never quite can change things.